The number of people in B.C. who have been forced from their homes due to spreading wildfires has taken a huge jump, after a few days of relative calm, new weather conditions are fanning flames. Williams Lake, B.C., is the latest city in the province to face an evacuation order due to wildfires. The order came around 6 p.m. PT Saturday as officials spent the day monitoring strengthening winds. 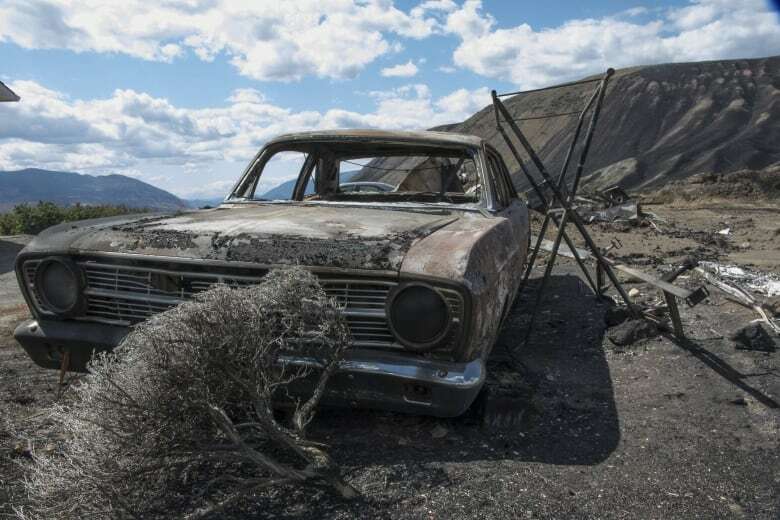 Around 24,000 people live in Williams Lake and its surrounding areas, but at least 50 per cent of those people have already left in the past week. Earlier Saturday, the province estimated more than 17,400 have been evacuated from residences. 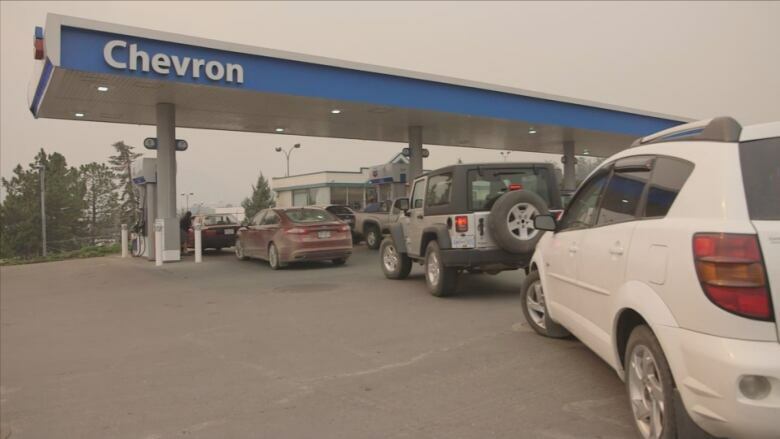 Many have relocated to evacuation centres set up in Prince George and Kamloops. Fire officials warned conditions would worsen as a forecasted cold front brings gusting winds and the potential for lightning strikes. There are seven new evacuation orders now in B.C., while multiple new evacuation alerts have been issued since Friday, all in the Central Interior. Big Creek, west of 100 Mile House. The Clisbako area, southwest of Prince George. A rural area near McCarthy Lake. Rural areas around 150 Mile House, Moffat Creek and Polley Lake. 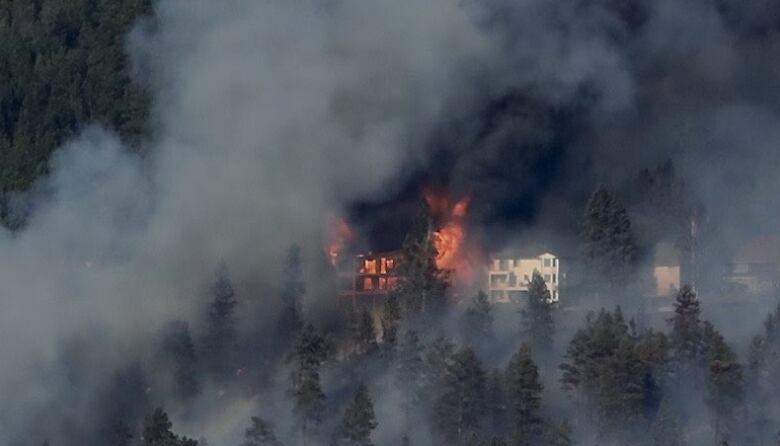 Up to 150 homes were also evacuated by officials going door to door in Lake Country, B.C., near Kelowna after grass fire caught and spread Saturday afternoon. The village of Clinton is on an evacuation alert, while an evacuation order was issued late Saturday for some rural properties east of Clinton and 70 Mile House. The B.C. Wildfire Service reported 161 wildfires burning in the province on Saturday at midday, including 14 that pose a threat to structures. That's down from the more than 200 that were burning last weekend, but the weather forecast means more could be coming. Environment Canada forecasted winds of up to 50 km/h across the Interior, to begin Saturday afternoon as a cold front moves through the region. "We're keeping a close eye on it," said B.C. Wildfire Service spokesperson Kevin Skrepnek. "We're especially concerned with what this wind is going to do with the fires." That's bad news for fire crews, as the winds could cause fires to spread farther. Some lightning is also expected, which could spark new fires. 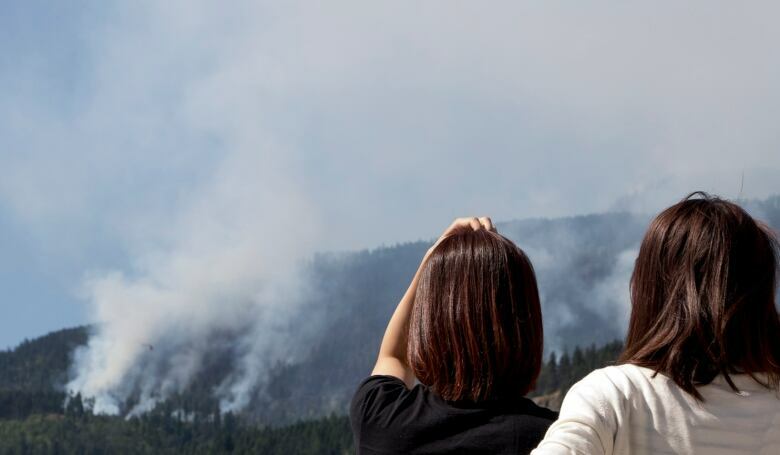 Skrepnek said crews have had success in conducting controlled burns in the past few days near Williams Lake, 150 Mile House and 100 Mile House in anticipation — but with evacuation orders now in place for all three places, it's unclear how successful they were. Skrepnek said strong wind will cause fires, or any new ones to grow, "quite aggressively." Numerous other evacuation orders, alerts and road closures remain in effect across the province. Air quality alerts are in effect across the Interior due to smoke from the fires. 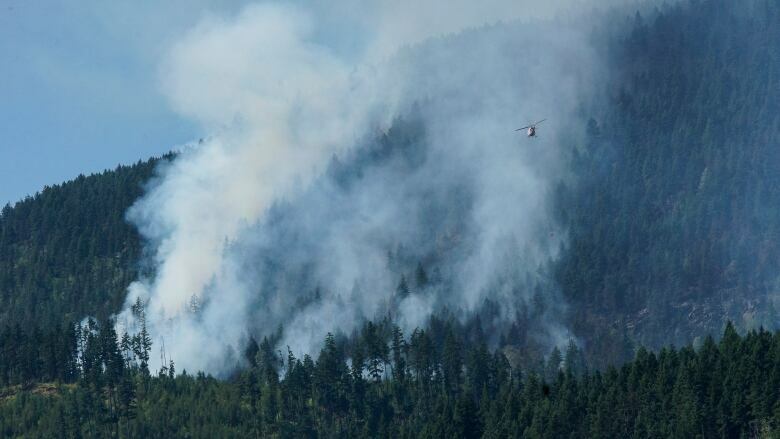 The province says there have been no major issues getting supplies to non-fire affected municipalities, but Canadian Forces air assets may need to be used for supply drops to two First Nations in the Chilcootin area that have been cut off from supply lines by fires. With files from Meera Bains and CBC News Network.